The Airistech Herborn Portable Vaporizer combines a patented food grade ceramic heating oven with easy one button operation and haptic feedback to create the ultimate on the go experience for dry blends. It sports a slim and pocket-friendly design that makes enjoying your favorite dry material on the move a much easier process. At only 4.15 inches long by about 1.5 inches wide, you can easily throw it in a pocket or bag and go on about your day without even noticing it's there. Airis designed this device with an innovative bottom heating chamber that reaches your desired heat settings in only 30 seconds. It also sports an ultra convenient magnetic chamber cap system that allows you to quickly refill the device with very little effort on your end. The Herborn Dry Vape uses an isolated airway vapor path that travels from the bottom chamber through the entire length of the device into the silicone mouthpiece section for improved vapor quality. This gives your vapor ample time to cool while keeping it completely separated from any internal electronics or other parts that could have a negative effect on your flavor quality. Under the hood it has a premium lithium-ion power source with massive 2200mAh capacity to keep you pumping out clouds all day long easily. It is controlled entirely using just one button with an LED indicator system that helps to keep you in the loop during the whole process. Rapidly press the power button five times to power the Herborn on and begin a cycle. On your first use it will automatically power to it's lowest temperature setting (420°F), shown by a flashing green LED light. Press the power button one more time adjust the output setting to fit your preference (420°F Green, 435°F Blue, 450° White). The LED will continue to flash while the chamber is heating. After about 30 seconds the Herborn reaches your desired temperature and notifies you with a solid color LED light and a hard to miss vibration notification, making it perfect for discreet travel use. Just give it another 3-4 seconds and then you can begin to inhale from the silicone mouthpiece lid. It will heat your chamber for up to 3 minutes at a time before the safety duration timer automatically cuts off power. Press the power button 5 times to restart your cycle and continue heating as needed. Make sure to charge your new Herborn Portable Vape before it's first use to condition it's battery for the longest lifespan possible. Remove the silicone lid to expose it's USB charging port and connect the included cable. The LED will power on to show it is charging and in only 2-3 hours the light powers off to indicate a full charge has been reached. 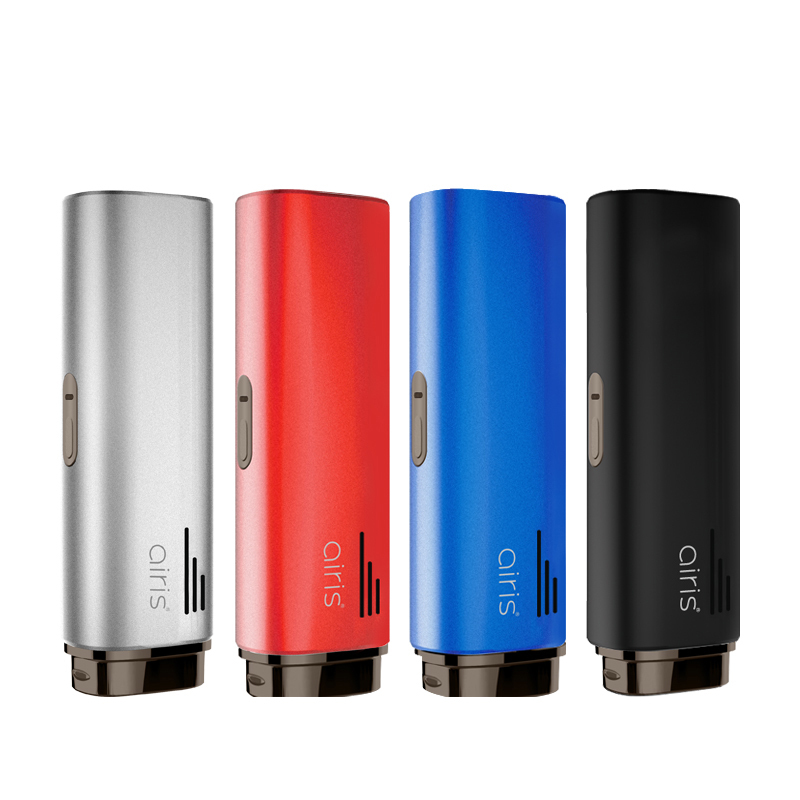 Invest in the Airis Herborn Vaporizer today in four sleek color options and enjoy easy sessions on the go anytime or anywhere. Airistech even includes a plethora of spare parts, tools, accessories and a miro-fiber carry bag to make things as convenient as can be while on the move.